I’m pretty new to The Beloved, having been turned on to their early singles/Where It Is compilation LP late last year. I had originally heard their later material, generally more dance/club friendly affair in the vein of Cause & Effect, Anything Box, etc. While the UK band (now a duo) has enjoyed tons of success since embracing the electronic club scene, the Cure-loving post-punk kid in me was very surprised and excited to hear that the band’s earliest material had more in common with B-Movie, The Chameleons, Modern Eon, and other emotive post-punk bands from the turn of the decade. Sure, there were still synths around every corner, but the keyboards were more focused on mood and atmosphere, leaving the sparse hooks to the vocals, guitars, and bass. Songs like ‘Saints Become Us,’ ‘In Trouble and Shame,’ and ‘Slow Drowning’ (oh god, ESPECIALLY ‘Slow Drowning‘) quickly became all-time favorites, and moody Wierd barn-burners in the last few months of the party’s existence. All of these tracks (and more spanning the band’s career) were originally made available on The Beloved’s website, where you can also hear newer material and read up on the band over the years. So with that in mind, please excuse the bitrate. I normally handle my own rips and give you guys the best quality possible these days, but in light of what’s available, I feel these tracks deserve to be heard regardless, so I hope you enjoy them as much as I do! Apologies for being sparse these days, but I’ve been keeping busy with a new project. That said, here’s an amazing 7” from France, private pressing from 1987. Great coldwave sounds on both tracks, gloomy yet driving- the perfect combination. Both tracks are both dark and incredibly catchy, with deep French vocals. Hooks all around, driving drums (edit-thanks for clarifying, Phil). Really, the perfect package. Our group became “In Extremis”. We composed some good songs in the southwest of France (Hossegor) then we separated some years later. I regret it now. Thank you for your compliments. I still have some 45 tours vinyl to me, if somebody is interested. 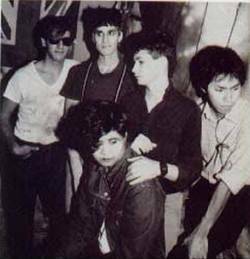 Before there was Jane’s Addiction, there was Psi Com, a post-punk/deathrock band fronted by Perry Farrell. 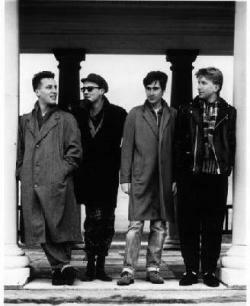 The band released one demo tape and one 12” (re-released on CD and 10” in the mid-90s) in 1985. The band began in 1983, when Perry answered an ad from guitarist Vince Duran looking for a drummer, as his fledgling band was primarily using a drum machine. Instead, Farrell took over as vocalist, adding Rich Evac on bass, Aaron Sherer on drums, and Mariska Lassius on keyboards. This was the lineup for their demo tape that was eventually sold at shows in 1984 with elaborate packaging reminiscent of Independent Project Records releases. The photo above depics the lineup for these recordings. 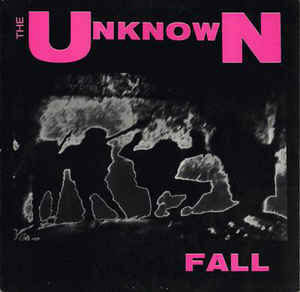 Soon after the demo was released, Lassius and Evac left the band, replaced by bassist Kelly Wheeler for their 12” sessions. Based heavily in the psychedelic roots of Pink Floyd as well as the UK post-punk movement, Psi Com’s sound was much more in line with Savage Republic, The Ex, and Bauhaus than the horror punk sound that was developing on the West Coast. If anything, Psi Com was a vessel for the Red Temple Spirits sound moreso than the hedonistic excesses of Jane’s Addiction, though both bands continued exploring their psychedelic influences and alternative leanings. Even Perry Farrell’s trademark wail is downplayed on these recordings, though there’s no mistaking it during certain key passages. 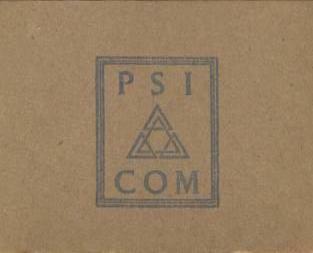 Psi Com broke up suddenly in 1985, after gaining a heavy local following. Legend has it that Eric Avery, bassist for Jane’s Addiction, was drafted as a new bassist for Psi Com, changing direction as Stephen Perkins and Dave Navarro joined. Bassist Kelly Wheeler played briefly with Dino Paredes of Red Temple Spirits, and Aaron Sherer eventually retired from music after playing drums on several tracks from Mazzy Star’s excellent Among My Swan LP. Here we have a fan circulated collection of demos and additional tracks, including the debut Worktape cassette as well a series of studio recordings and instrumentals that originally appeared on a Jane’s Addiction bootleg CD from 1991. 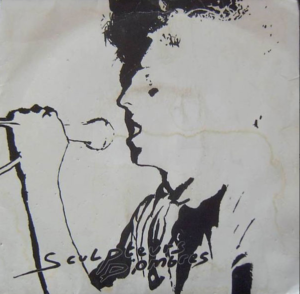 While the 12” has received a fair amount of attention as Farrell’s pre-Jane’s vessel, these demos are still rather obscure, and definitely worth hearing even if you’re not a fan of what came next.